The hilly city of San Francisco in Northern California lures many students and corporate entities from all over the world by virtue of its rich history, amazing weather and stunning attractions. It is no surprise that the Bay area is quite expensive when it comes to tourism. However, successful college tours to San Francisco can be planned by following a few practical tips. After all, education is important. 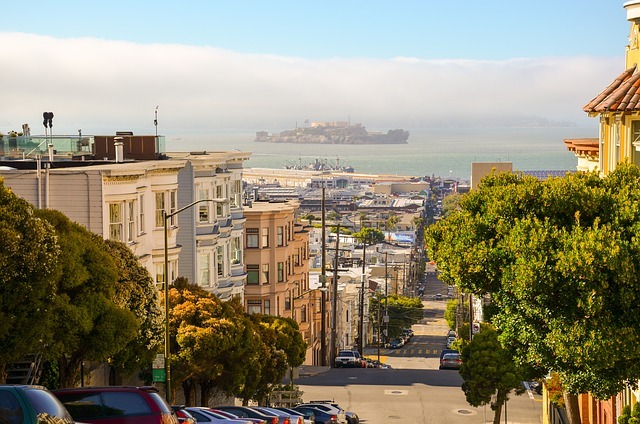 Charter a San Francisco tour bus rental to make your commute easier in the Bay area. Group tours are nevertheless the best contingency to interact and get feedback on the desired institutions. Well, it is not a mundane task but a necessary one. It is the initial yet crucial step on planning in a successful tour. Surf through the internet and narrow down on the colleges and courses you seem to be interested in. Once you are sure about your preferences, if possible, catalog them according to their geography. This would make your commute easier and won’t burn a hole in your pocket. Group tours are a great idea to save some money but also keep an eye on the public transport facilities in case you like an institution. Also, plan to visit one college per day so as to not get overwhelmed with all the information at once. Many universities provide self-guided tours for a quick evaluation of the college and their campuses. Instead, schedule and register for a guided group campus tour that is led by either a student or the college counselor. Do not hold back your questions and doubts. The admissions council is there to impress you and they will present to you the best of everything. Feel free to interact with them and the fellow members of the tour to get a clear picture of what the university offers. Moreover, plan your visit during regular college days and avoid the period of term breaks. It is always better to scan the campus when actual classes are going on. After transportation, accommodation is the next big step that costs an arm and a leg in San Francisco. Plan your tour at least 60 days in advance and book some budget properties. Avoid tourist areas such as the Fisherman’s Wharf as the prices of budget hotels are also quite steep. Instead, try booking Airbnb accommodation, especially when you are in a large group. This takes care of your food expenses as well. Lastly, do not just stick to colleges and universities. Dedicate some time to explore the district or area around your preferred college. San Francisco is a multicultural metropolis that has myriad opportunities for students to put themselves out there and learn the way of life. Survey the area and look out for student clubs and community that share the same outdoor interests. After checking out the dormitories, cafeteria and the sports arena look around the area that offers student jobs and networking. Last but not the least, have a fun trip with your group exploring the city of San Francisco. Do not get too serious about fulfilling everything in your schedule. Keep some time aside for fun with your loved ones. The Bay area is mesmerizing with innumerable tourist attractions. Take advantage of your college tour to get familiar with the city and also have fun with your family. There is no particular time to visit San Francisco. The city enjoys the same weather all year round and this is possibly one of the reasons why many choose the city to kick start their future.